The U17 girls team won the Gold medal in the 2019 winter NSSL league with a 3 - 0 win over Bedford. 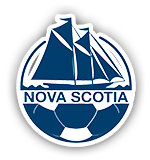 The CC Riders squad placed 3rd overall when league play was finished which earned them a playoff game against the 2nd place team Central FC Navy on Saturday March 9th. The girls played a defensive match and came away with a 1-0 win. This win put them in the gold medal game on Sunday. The girls played a strong match against the Bedford squad, who only had one loss in their season, the Rider's offense took over in the 2nd half scoring 3 goals while the defense stayed strong shutting out the Bedford team. This was the first time a CC Riders team has won a banner for a NSSL winter team! Congratulations girls and coaches on a great season going undefeated in their last 14 games of the season!